A playfully bright skeleton hand, that is. 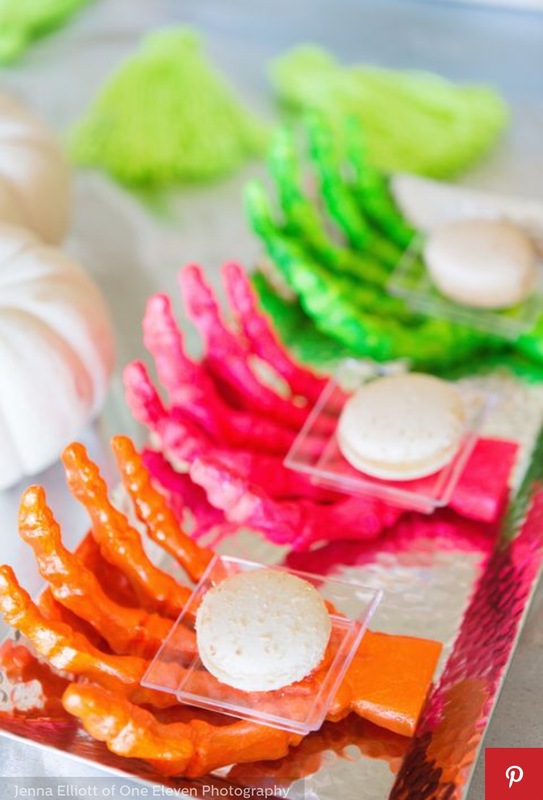 While normal white skeleton hands may be cliche, non hues add a modern touch to these macaron serving skeleton hands. Pick your favourite bright Colors and spray paint skeleton decorations for this look.